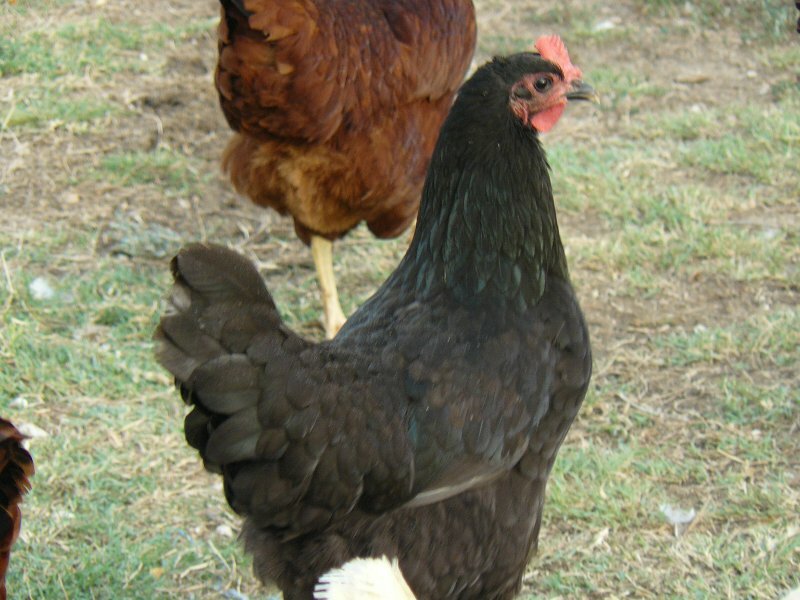 The name Black Australorps is an abbreviation for Australian Black Orpingtons. The Australorps have a solid black plumage with a beautiful green sheen, when standing in the sun. They are one of the most prolific egg producers of brown eggs. At maturity the females weigh 6# and start laying at approximately 24 weeks. All our hens are fully vaccintated and are not debeaked for better foraging and maximum health.They are supplemented with a natural feed. How do they do confined and are they heat tolerant? Black Australorps tolerate confinement well. Black Australorps are considered a cold, hardy breed. How do they go for days (pullets) without food or water? They are shipped express mail, and normally arrive within 1-2 days. We put fruits or vegetables in their box so they have something to eat and will stay hydrated during transit. Are all the hens 15-22 weeks old? The started pullets will be 15-22 weeks old when shipped. How many weeks old are the black Australorp Pullets? We sell them as 4-9 week olds and 15-22 week old females. Great ladiesWe bought 4 pullets, 2 buff Orpingtons and 2 black austrolorps. We couldn't be happier. Both buffs and 1 australorp look like they should be models for this site and lay pretty much every day. Then there's Donna who just seems a little slow (no eggs and not the smartest) and not the prettiest thing but such a sweetie that we don't care one bit. They give us delicious eggs, sprint to me when I call them, and have made our home much more fun. Relocating soon with our girls and looking forward to expanding our flock. Australorp began laying at 25 weeks, buffs began at 27. Awesome birds. Don't buy pullets from themI ordered my pullets in March to be shipped the week of June 13, 2016. 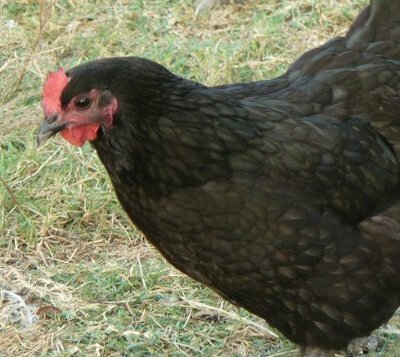 A large part of why I orderted pullets is so that I could bypass the time,effort, and money put forth in raising chicks, which I have done successfully before. -- When I opened my box,which I paid $100 to have shipped in one day but took two, I saw two chicks...not pullets. They were no more than 12 weeks at best, but likely less. As it was 6 in the morning, I dealt with the situation at hand and then sent off two emails addressing the issue. At 9 am I called the hatchery and was told to send pictures of the birds for their sales department to evaluate. HUH? They should know the age of the chicks sent to me! --I sent many pics and the immediate response was this---"We are waiting for the supplier to see what they think. 15 weeks is youngest they should be and they could be 15 weeks of age. We have to wait and see what they say. Sorry you do not think they are. They have gotten chicks including Black Australorps from us since Feb 23rd so they should have some that age." --How is the age of the bird relegated to someone's subjective opinion? Should there not be a definitive accounting of the age of exactly every bird that is shipped from this hatchery? Later in the day I received and email stating that they were 15 weeks of age but likely looked different from backyard birds because they were fed organically and had less fat. All I know is that these birds, while appearing to be healthy, are still very much chicks. No concessions have been made for me like in Lavona's case, and I don't really want another two birds from this hatchery. Honestly, all I would really like is the truth and good accounting. They shipped me much younger birds than 15 weeks. If you look in their Q&A, it appears that might even be a standard practice. "We sell them as 4-9 week old and 15-22 week ol females." --I'm going to do the best with what I've been given here, but if I were you reading this review, I'd take my business elsewhere.